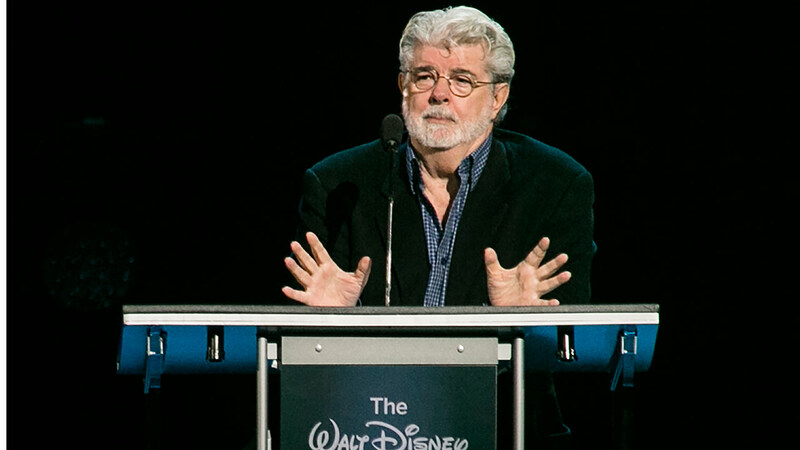 WASHINGTON -- Less than two weeks before the release of the new "Star Wars" movie, George Lucas is about to receive the nation's highest award for lifetime achievement in the arts. Lucas and four others will be celebrated at Sunday nights's Kennedy Center Honors. President Barack Obama cancelled his appearance at the Honors. He will be delivering a national address at 8 p.m. However, the Obamas will hold a reception for the honorees at the White House late Sunday afternoon. Lucas created the "Star Wars" and "Indiana Jones" movie franchises. This year's other honorees are singer-songwriter Carole King, actress and singer Rita Moreno, conductor Seiji Ozawa and actress Cicely Tyson. Stephen Colbert will host the gala for the second time. It will be broadcast Dec. 29 on CBS. Disney is the parent company of this station.